In Part 1 I discussed the concept of building a Match Mode and a method I have been using to train. If you remember this concept of match mode comes from Steve Anderson and I believe it is a core concept to consistency. 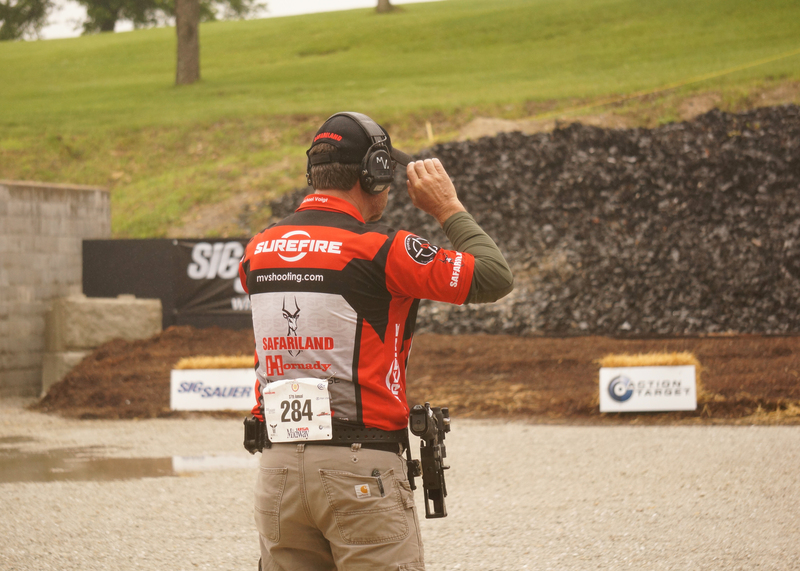 When I left off I alluded to a couple of other benefits to the act of calculating hit factor during your live fire practice and a way I have been able to equalize and bring my best and worst runs closer together. Practicing a match mode is really another way of saying we are working towards consistency in our shooting. During “speed mode” we try to go faster. In “accuracy mode” we try to be more accurate than ever before. But match mode is the enemy of “try”. The goal in match mode is to shoot to your level. Rushing in a match is natural while being consistent will seem slow. That is why it is so important to train and get use to a match mode. Remember from last time; consistency – it matters. Ask yourself this – during a match would you rather have a 1.2 draw that you can achieve EVERY SINGLE TIME or would you prefer a draw that ranges between 0.8 and 1.0 but is not repeatable and you are always operating at the edge of failure? By calculating the hit factor we can grasp other concepts that are beneficial to both our learning and understanding of this game. For starters, you will find that a lot of what we track in dry fire and specific drill training is irrelevant when viewed solely through the perspective of the match. Your draw time, reload time, and transition time are important, but not as important as consistency. The goal is to be quicker across the board. We use drills in live fire and dry fire to isolate specific skill growth; but in a match we not only compete against others, we test our overall skill. To put it another way, a 0.8 draw doesn’t mean a damn thing if you rush and blow a reload or throw a mike during the stage. Calculating hit factor will also illustrate how speed and accuracy combine to affect the overall score. Too many people look (and listen) to other competitors and zone in on their speed while failing to regard their accuracy as a factor. By tracking your own hit factor it becomes obvious when an extra 0.10 seconds spent aiming could have given you a better score. Equally, we can better understand how it negatively affects our score when we post up and shoot bullseye mode on 3 yard open targets. Before I wrap this up I want to discuss another method. One that I have only recently begun to use, but the results have been promising. The method is to simply shoot your live fire drills without looking at the timer. Yes, I said shoot a drill with no regard to the end time. I use the timer for the start beep and that is all. To ensure I don’t cheat I put tape over the screen on the timer. The goal of practice without a timer is simple – realize that rushing equals failure. The goal is not to slip into bullseye mode but to move as fast as possible, while maintaining as much accuracy as needed and finish sooner. This is not something I believe should be done at length, but let’s say we have set aside an entire live fire session to run mini-drills and calculate hit factor. After we calculate our average, apply some masking tape over the timer screen and run the same drill once or twice without any time pressure. Feel the recoil. Watch the sights lift. Maintain a hard front sight focus when necessary. Let the sight picture drive your shooting. Afterwards go back and run the same drill 6-7 times and calculate hit factor average. You will likely find your average run is closer to your quickest time. Ultimately there are many different ways to get faster and more accurate, but working toward increased consistency is a worthy goal. 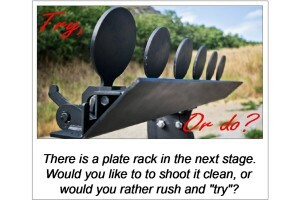 The next time you go to the range set aside some time to practice using hit factors and without a timer. Who knows, you might learn something about your shooting and yourself.